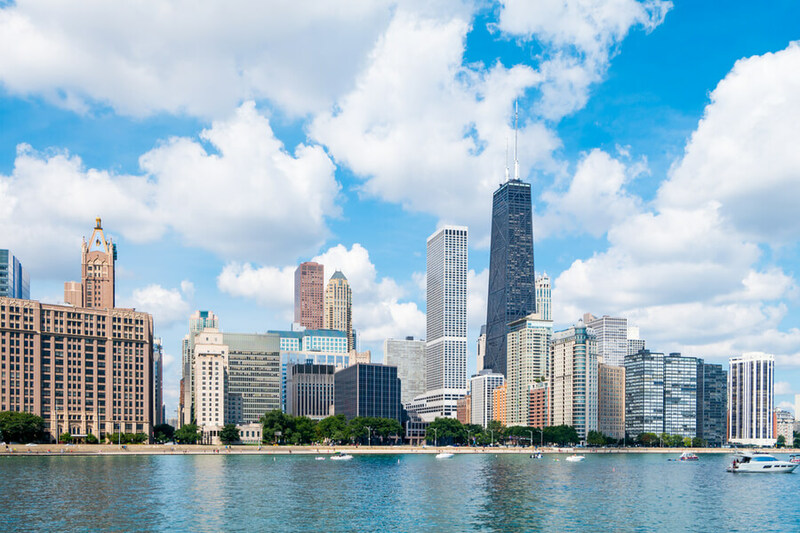 Located in the village of Lake Villa, northwest of downtown Chicago, Lake Villa is a treatment facility for adolescents and adults dealing with which is also one of the many treatment centers operated by the Gateway Foundation. This 50-year-old organization runs various recovery centers across Illinois including facilities in Jacksonville and Springfield and has assisted more than one million individuals on the path to recovery. The treatment center offers science-driven, structured, and evidence-based care to its patients while also providing highly individualized substance addiction treatment programs. The Lake Villa center develops these customized programs in order to address every need of the patient—emotional, social, and physical. With a full continuum of care, the treatment center offers various levels of care which include a residential, partial hospitalization, and outpatient program. Programs offered at the facility are gender-specific and also includes treatment for adolescents and young adults between the ages of 18 and 23. The center boasts of a well-trained medical staff consisting of nursing supervisors, clinicians, counselors, a psychiatrist, and therapists. Additionally, the center also offers an aftercare program which acts as a recovery support system for individuals who still need help after completing treatment. The facility is situated on a 43-acre property and takes place in a camp-like setting. The environment features green foliage, stunning views, and ample space for patients to move around in. Clients live in gender-specific accommodation and rooms are set up to contain up to 4 residents each. The center also provides common areas with fireplaces, furniture, and throw-carpets. Clients spend most of the day involved in educational lectures and therapy. The center also features a fully-equipped indoor gym, an indoor basketball court, walking trails, and a basketball court. These amenities provide opportunities for clients to engage in healthy lifestyles on-site. The facility also features an outdoor patio. Food is served thrice a day at the facility, with coffee and snacks being made available during certain times. The meals are prepared by a professional chef and served in the dining area. This program is designed for men, women, and children and involves 24/7 supervision and support. This helps to eliminate any distractions during the process of recovery. The center assesses the patient’s physical and mental health in addition to substance abuse history and designs a treatment plan to suit their needs. Length of stay at the facility is determined by the clinical team. The partial hospitalization program offered at the facility provides participants with the opportunity to receive a full day of treatment and support while returning to their homes in the evenings. Usually, clients receive treatment either five or six days in a row and the services offered include group therapy, dual diagnosis support, and cognitive behavioral therapy. The Intensive Outpatient Program (IOP) is ideal for persons going to work or attending school who do not want or require residential care. The program often acts as a step-down approach to recovery and consists of various therapy modalities including counseling, mindfulness-based training, and education. Lake Villa Treatment Center costs approximately $18,000 for a 30-day treatment program at the center but this amount is subject to change as it is greatly dependent on the program a client is registered into. The facility is in-network with most insurance companies and is willing to work with out-of-network providers. Deductibles might be paid depending on the insurance type and in this; clients are encouraged to contact the facility for more information about benefits and coverage. A simple insurance verification form is available on the organization’s website for clients to easily verify their coverage online. The facility is accredited by The Joint Commission and The National Association of Addiction Treatment Providers. The treatment center offers different programs ranging from personalized addiction treatment, partial hospitalization, intensive outpatient, residential, and many more. The facility boasts of 24-hour care for its patients registered into the facility daily. Medical experts conduct therapy and group sessions that educate patient more on addiction and how to overcome it. Although most of the programs are rooted in 12-step as it is evidence-based, clients still have the opportunity to choose the kind of treatment they want. The facility which is under the leadership of Gateway Foundation offers gender-specific programs that helps create a feeling of unity and create an environment that encourages support and abstinence. Having a structured program in a camp-like environment, clients seeking treatment at a facility that treats dual diagnosis, provides 24-hour care, and encourages living a life of sobriety will find Lake Villa to be a good option.